What does a post-mobile computing era mean for the data center that's been around for decades? 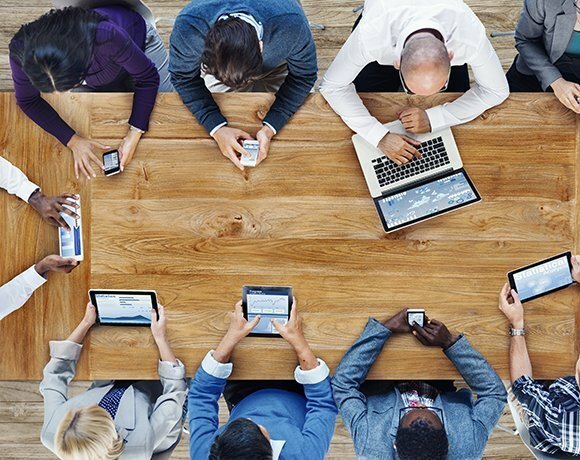 Computing has evolved from fixed to portable to mobile devices, and we're entering a "post-mobile" era where computing is pervasive across a growing array of devices, said David W. Cearley of Gartner. Everything from wearable systems to pocket computers to large whiteboard-style screens in offices and homes is connected and running applications and/or gathering data. This kind of mobile and ubiquitous computing relies on an Internet of Things: a proliferation of sensors, displays, wireless communication and other diverse input like gestures. Pervasive computing will serve the future user experience with rich content and emotional impact from the interconnected applications that engage them. Adding sensors, connectivity and computing to seemingly ordinary products opens an array of new possibilities for businesses. For example, a jet engine can be instrumented to transmit essential functional data through the cloud to analytics, which make decisions that improve operational efficiency and predict failures, reporting all of this activity to newly created applications and user interfaces. Gartner's David W. Cearley predicts 25 billion connected "things" by 2020, but adding these diverse instruments to enterprise products and processes will require new business models and payment mechanics, along with a new technology architecture that can support and manage countless ubiquitous devices. The challenge for IT will be managing increasingly complex environments, putting more strategic effort into infrastructure planning and providing more responsive support. On the development side, IT will design new applications that can function across a variety of traditional and new computing devices. What previously "dumb" devices does your data center support? Internet-enabled coffee machines? Building-integrated energy controls? I would like to meet the admin who has to support internet-enabled coffee machines. I hope at least he or she gets a lot of free coffee perks. I don't think either IT nor users are really ready for the flow of data that's going to come from the Internet of Things. It's still being talked about too generally.